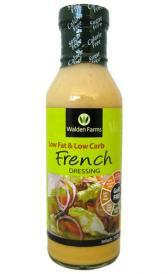 On this page you'll find a selection of items belonging to the group of fats and oils. Through the links on this list of foods that are fats and oils and you will know their properties and amount of nutrients that each food has. Below is a list of foods belonging to the category of fats and oils. Clicking on each one of them, you can view the properties of oils and nutritional information in addition to the benefits to your body. 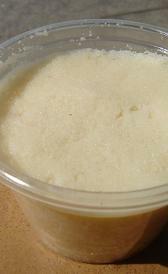 Beef tallow fat: Beef tallow fat is high food energy, total lipid and choline, total. On the other hand. is low in water, protein and ash. Lard: This food is low in water, protein and ash but Lard has food energy, total lipid and saturated fatty acid in high quantity. KRAFT Light Mayonnaise: This food has a low quantiti of protein, total dietary fiber and calcium but has a high quantity of total lipid and vitamin k.
KRAFT Mayonnaise: KRAFT Mayonnaise is high sodium and vitamin k. On the other hand. is low in protein, calcium and iron. KRAFT MIRACLE WHIP FREE: This food is low in protein, calcium and iron but KRAFT MIRACLE WHIP FREE has sodium in high quantity. Russian dressing: This food has a low quantiti of protein, total dietary fiber and calcium but has a high quantity of total lipid, sodium and vitamin e.
Rice bran oil: Rice bran oil is high food energy, total lipid and vitamin e. On the other hand. is low in water, protein and ash. Wheat germ oil: This food is low in water, protein and ash but Wheat germ oil has food energy, total lipid and vitamin e in high quantity. Coconut oil: This food has a low quantiti of water, protein and ash but has a high quantity of food energy, total lipid and saturated fatty acid. Palm oil: This food has a low quantiti of water, protein and ash but has a high quantity of food energy, total lipid and vitamin e.
Fat-free french dressing: This food has a low quantiti of protein, total lipid and calcium but has a high quantity of sodium. Cocoa butter oil: Cocoa butter oil is high food energy, total lipid and saturated fatty acid. On the other hand. is low in water, protein and ash. Palm kernel vegetable oil: Palm kernel vegetable oil is high food energy, total lipid and vitamin e. On the other hand. is low in water, protein and ash. Poppy seed oil: This food is low in water, protein and ash but Poppy seed oil has food energy, total lipid and vitamin e in high quantity. Tomato seed oil: This food has a low quantiti of water, protein and ash but has a high quantity of food energy, total lipid and vitamin e.
Tea seed oil: High in food energy, total lipid and saturated fatty acid and low in water, protein and ash. Grape seed oil: Grape seed oil is high food energy, total lipid and vitamin e. On the other hand. is low in water, protein and ash. Mutton tallow fat: High in food energy, total lipid and choline, total and low in water, protein and ash. Walnut oil: High in food energy, total lipid and saturated fatty acid and low in water, protein and ash. Almond oil: Almond oil is high food energy, total lipid and vitamin e. On the other hand. is low in water, protein and ash. 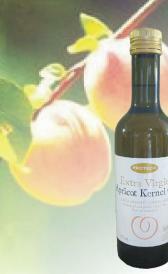 Apricot kernel oil: This food is low in water, protein and ash but Apricot kernel oil has food energy, total lipid and vitamin e in high quantity. Soy bean lecithin oil: This food has a low quantiti of water, protein and ash but has a high quantity of food energy, total lipid and choline, total. Hazelnut oil: High in food energy, total lipid and vitamin e and low in water, protein and ash. Babassu oil: This food is low in water, protein and ash but Babassu oil has food energy, total lipid and vitamin e in high quantity. Shea nut oil: High in food energy, total lipid and saturated fatty acid and low in water, protein and ash. Cupu assu oil: Cupu assu oil is high food energy, total lipid and saturated fatty acid. On the other hand. is low in water, protein and ash. Chicken fat: This food is low in water, protein and ash but Chicken fat has food energy, total lipid and choline, total in high quantity. Nutmeg butter oil: High in food energy, total lipid and saturated fatty acid and low in water, protein and ash. Ucuhuba butter oil: Ucuhuba butter oil is high food energy, total lipid and saturated fatty acid. On the other hand. is low in water, protein and ash. Duck fat: This food is low in water, protein and ash but Duck fat has food energy, total lipid and choline, total in high quantity.